FLOW Jamaica is still celebrating the fact that they’ve achieved 1 million customers as per my ditty How Flow Jamaica celebrated 1 million customers with a 99 cents FAM Plan as this is a very significant growth milestone. 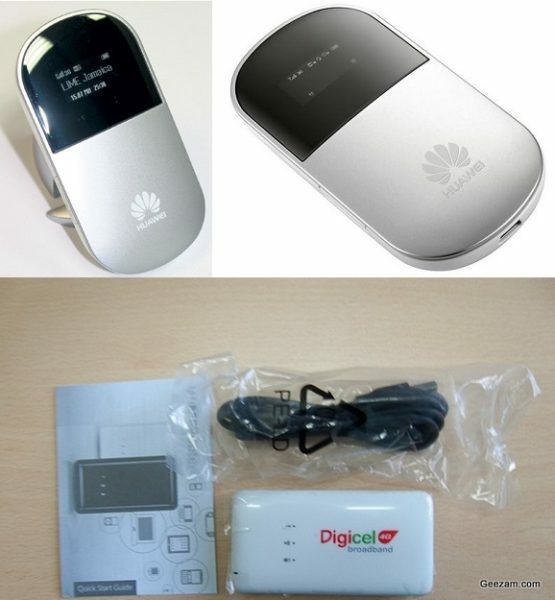 They’re under pressure to launch their 4G LTE (Long Term Evolution Network to challenge Digicel LTE, which want live on Friday June 10th 2016 as chronicled in Kelroy’s article Digicel switches on 4G LTE Network in Jamaica. But rather than be ruffled, FLOW Jamaica CEO Garry Sinclair is focusing on delivering the best HSPA+ Data service. Meanwhile, FLOW Jamaica is preparing to launch their 4G LTE Network by August 2016 islandwide on both the North and South Coast as predicted in How FLOW’s 70 Mbps VDSL in St. Ann means FTTH, 4G LTE on North Coast. So says my little birds who whisper secrets to me from all over Jamaica, informing me of the progress of the three (3) Telecoms Providers for the past two (2) years, Game of Thrones Style! But is 4G LTE all that is the hype proclaims it to be? Data is big business for the Telecom Providers. Please note at the time of writing this article, the report has since been removed by the OUR, most likely under legal pressure from the Telecom Providers, who may be fearing more competition coming into Jamaica to eat their fill of Jamaica’s growing Smartphone and Data Addiction. However, this social media strategy will not work for 4G LTE; fast speeds means faster internet but Data plans will also finish much faster. 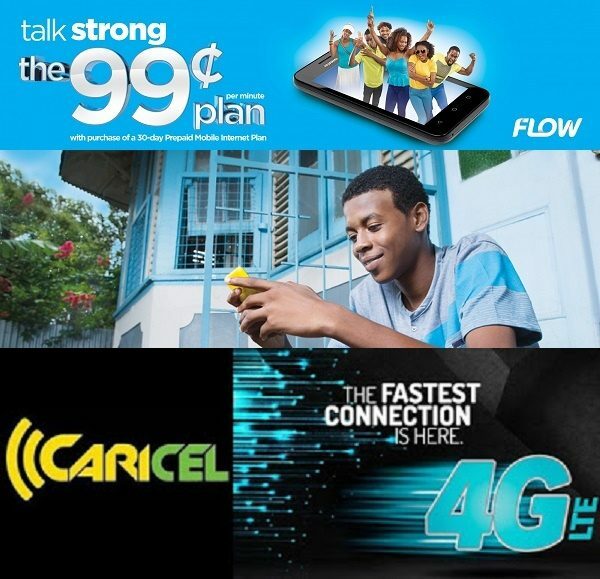 So what does FLOW Jamaica and Caricel have planned for their 4G LTE Networks? Both Caricel and FLOW Jamaica will definitely include Unlimited Data plans and Family and Group part of their strategy as noted in Kelroy’s article LIME to offer Personal Mobile Internet Hot-spot – MiFi. After all, at those prices for a Digicel LTE Data Plans as parlayed in How to Activate a Digicel LTE Smart Plan on your Smartphone we’ll have to pitch in. This will revive the idea of sharing among Millennials, who already share their business online. Jamaica's 1st LTE Network is HERE! So what’s so bad about sharing a Data Plan, especially if the Telecom Provider has it built in? FLOW Jamaica may also entice Developers to make Apps to fill out their threadbare Apps store, as this would garner more support from the Jamaican Tech crowd as explained in FLOW Jamaica App Store needs Game and Business App Developers. This would be especially attractive if these Apps provide some innovative Business Service for corporate and Enterprise customers, driving more traffic to the FLOW Jamaica in the process. The Faster 4G LTE may also finally see the rise of Local Streaming Radio Stations and more VOD (Video on Demand) Services Apps, be they YouTube channels or custom built websites. Finally, a Mobile Money Platform similar to the what AIS and Quisk will be launching in partnership with NCB as predicted in How Quisk Mobile Wallet impressed at inaugural NCB Digital Tech Symposium come July 2016. 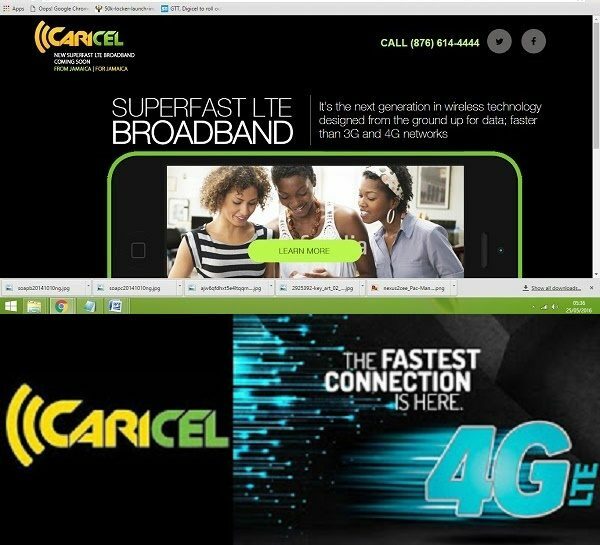 Caricel might come onto the scene in August 2016 not only with unlimited Data plans but also Family and Group Plans to allow multiple devices to chare one Data Plan. It’ll be interesting to see what FLOW Jamaica launch will come August 2016. So as FLOW Jamaica CEO advises, stay tuned to this blog for further details as the LTE Wars Loom.